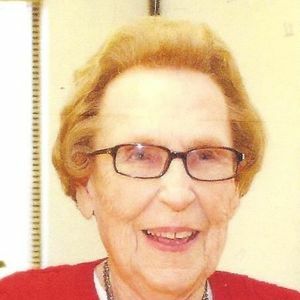 GREENVILLE - Christine Culbertson, 91, of Greenville, died Wednesday, April 23, 2014 at 12:15PM at Muhlenberg Community Hospital. Mrs. Culbertson was the daughter of the late Robert and Macy Drake. The Muhlenberg County native was born January 18, 1923 in the former Brownie community. She was a homemaker. She was preceded in death by her parents; husband of 48 years, J.W. Culbertson; daughter Joyce Culbertson Tapp; brothers Buel Drake and Allie Drake; sister Martha Lacefield Parker; grandson Kevin Cary; and step-brothers John Jr., Charles, James, and Harold Lacefield. Survivors include her daughter, Brenda Culbertson (Ron) Cary of Greenville; brothers George (Mary) Drake of Central City, Rondal (Joyce) Drake of Central City, and Bobby (Jean) Lacefield of Hopkinsville; grandchildren Timothy Tapp of Bowling Green, Keith Cary of Brooklyn, NY, and Kristina Cary Rice of Bowling Green; and son-in-law Kenneth Tapp of Bowling Green. Mrs. Culbertson will always be remembered for her remarkable strength and fortitude in caring for her home and her family, especially during times of adversity. She will be dearly missed by her family and friends for her hospitality, her wit, and her home cooking. Funeral services will be Saturday, April 26, 2014 at 11:00AM at Tucker Funeral Home in Central City, conducted by Ron Cary with the Central City Congregation of Jehovah's Witnesses. Burial in Fairmount Cemetery. Visitation will be Saturday after 9:00AM at the funeral home. Online condolences may be made at www.tuckerfuneralhomes.com. Just learned about Christine's passing. I am so sorry for your loss. Mom (Etta Roach Bell) and her siblings grew up and went to school with Christine and her siblings. Then Christine became family when she married J. W. I know that she will be greatly missed. Condolences from our family. Our deepest condolence in the loss of your beloved Mother.. She's one great hearted woman. We r so sorry for your loss. Thinking and praying for you during this difficult time. Much love to you all.